^ New Hampshire Revised Statutes, Title 1, Chapter 3-C:2 – Exceptions. State of New Hampshire. 1995 [2016-12-09]. ^ Geographic Identifiers: New Hampshire. American Factfinder. U.S. Census Bureau. [2016-06-10]. ^ 3.0 3.1 3.2 Annual Estimates of the Resident Population: April 1, 2010 to July 1, 2016 (PEPANNRES). American Factfinder. U.S. Census Bureau. [2017-03-21]. ^ Median Annual Household Income. The Henry J. Kaiser Family Foundation. [2016-12-09]. 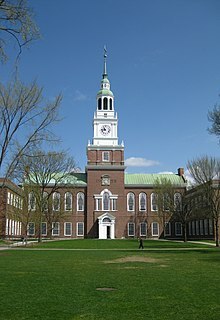 ^ Visit NH: State Facts. NH Department of Resources and Economic Development. [2010-08-30]. （原始内容存档于2010-10-14）. 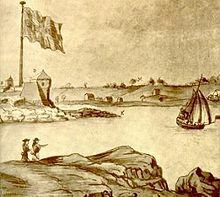 ^ Origin of 'New Hampshire'. State Symbols USA. [2015-08-30]. ^ Observing Constitution Day. www.archives.gov. [2016-04-07]. ^ Broad Growth Across States in 2014. Bea.gov. US Bureau of Economic Analysis. 2015-06-10 [2016-02-03]. 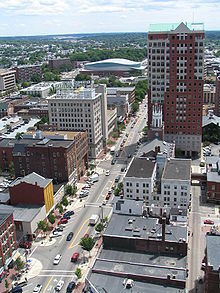 ^ State at a Glance & nbsp; - New Hampshire. US Department of Labor. 2007-10-12 [2007-10-14]. ^ New Hampshire's State and Local Tax Burden, 1970–2006. The Tax Foundation. 2008-08-07 [2014-02-18]. ^ Local Area Unemployment Statistics. Bureau of Labor Statistics. [2010-03-26]. ^ NH unemployment rate drops to 5.4 percent in Oct.. BusinessWeek. 2010-11-16 [2010-12-08]. ^ Unemployment in the U.S. - Google Public Data Explorer. Google. 2017-03-09 [2017-05-16]. ^ Frank, Robert. Top states for millionaires per capita. CNBC. [2014-01-25]. ^ Hess, Alexander E.M. The 10 states with the best quality of life. Yahoo Finance. 2014-10-06 [2014-11-12]. ^ Resident Population Data – 2010 Census. 2010.census.gov. US Census Bureau. [2012-12-24]. （原始内容存档于2012-12-20）. ^ Population and Population Centers by State: 2000. United States Census Bureau. [2008-12-05]. （原始内容存档于2008-09-18）. ^ Population Center of New Hampshire, 1950–2000 (PDF). NH Office of Energy and Planning. October 2007 [2008-09-10]. （原始内容 (PDF)存档于2008-07-24）. ^ New Hampshire QuickFacts. US Census Bureau. [2011-06-27]. ^ Center for New Media and Promotions (C2PO). 2010 Census Data. U.S. Census Bureau. ^ Selected Social Characteristics in the United States: 2015 American Community Survey 1-Year Estimates (DP02): New Hampshire. American Factfinder. U.S. Census Bureau. [2017-04-06]. ^ Selected Social Characteristics in the United States: 2015 American Community Survey 1-Year Estimates (DP02): All States within United States and Puerto Rico. American Factfinder. U.S. Census Bureau. [2017-04-06]. ^ Language Spoken at Home by Ability to Speak English for the Population 5 Years and Over: 2015 American Community Survey 5-Year Estimates (B16001): New Hampshire. American Factfinder. U.S. Census Bureau. [2017-04-06]. 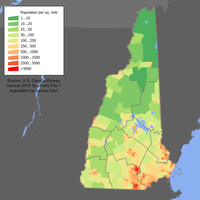 ^ Language Spoken at Home by Ability to Speak English for the Population 5 Years and Over: 2015 American Community Survey 5-Year Estimates (B16001): Coos County, New Hampshire. American Factfinder. U.S. Census Bureau. [2017-04-06]. ^ MLA Language Map Data Center. Modern Language Association. 2007-07-17 [2010-07-31]. ^ U.S. Religion Map and Religious Populations — U.S. Religious Landscape Study. Religions.pewforum.org. Pew Forum on Religion & Public Life. [2014-04-12]. ^ Allen, Mike. Pew survey finds believers flexible. Politico.com. Politico. 2008-06-23 [2010-07-31]. ^ Frank Newport. Mississippi Is the Most Religious U.S. State. Gallup. 2012-03-27. ^ The Association of Religion Data Archives | State Membership Report. www.thearda.com. The Association of Religion Data Archives. [2013-11-22]. ^ Grizzell, Emit Duncan. Origin and Development of the High School in New England Before 1865. New York: Macmillan Company. 1923: 181. ISBN 978-1-4067-4258-9. OCLC 1921554. ^ Bush, George Gary. 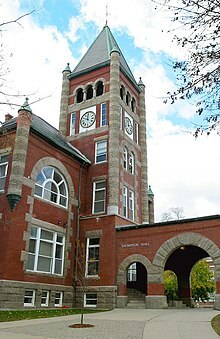 № 22, History of Education in New Hampshire. United States Bureau of Education Circular of Information, № 3, 1898. Washington, D. C.: GPO: 134. 1898. OCLC 817663. ^ Wallace, R. Stuart; Hall, Douglas E. A New Hampshire Education Timeline (PDF). New Hampshire Historical Society. [2009-01-28]. （原始内容 (PDF)存档于2009-02-25）. ^ The IQ-Trapper. V-weiss.de. Volkmar Weiss. 2009-05-30 [2010-07-31]. ^ Draft NHRTA Prioritized Goals (PDF). [2010-07-31]. （原始内容 (PDF)存档于2010-06-02）. ^ NH Rail Transit Authority Meeting. Nashua Regional Planning Commission. [2010-07-31]. （原始内容存档于2009-06-05）. ^ Business groups unite to support NH Rail Transit Authority. New Hampshire Journal. （原始内容存档于2011-08-23）. ^ Governor Lynch's Veto Message Regarding HB 218. Press Releases. Governor John Lynch. （原始内容存档于2011-06-19）. ^ 43.0 43.1 NH Rideshare – Your Source for Transportation Alternatives. NH Dept. of Transportation. [2016-02-03].